Congratulations to the winners of this weekend’s 3 vs. 3 tournament! Here are your 3 vs. 3 Team Dueling Winners! From left to right, it’s Joshua Oosters, Bohdan Temnyk, and Rafael Neven. Congratulations, Duelists! 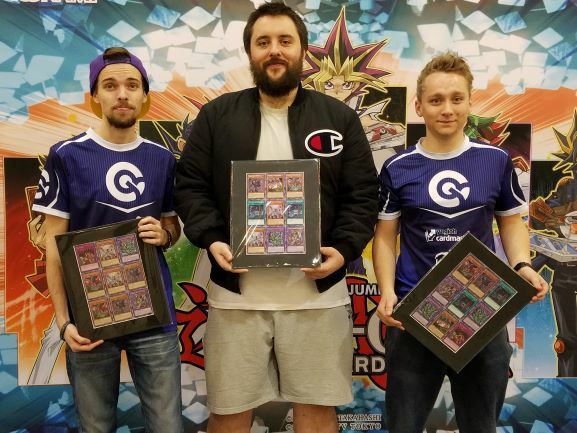 Welcome to the Ultimate Duelist Series Invitational – Central America 2018! YCS Pasadena: Dragon Duel Champion!